The Lee Classic Cast “O”-style press has always been an excellent value — it works as well as some other presses costing twice as much. And now Lee has improved on its Classic Cast Press design by adding a breech-lock fitting in the top. 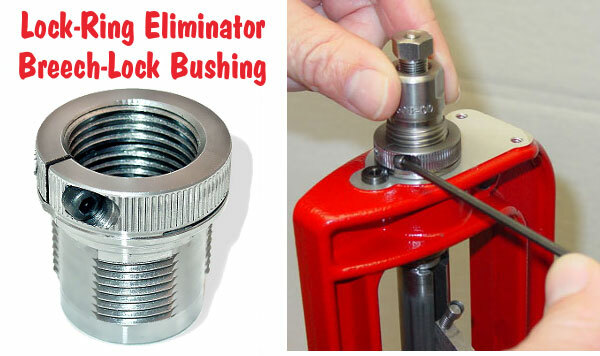 This allows you to swap dies in and out in seconds, once your dies are equipped with breech-lock quick-change bushings. 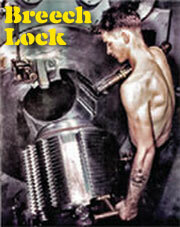 The Lee Classic Cast Breech Lock press is available for under $120.00. That makes it a bargain compared to other heavy-duty single-stage presses. Midsouth Shooters Supply offers this press (item #006-90999) for $112.95, while Natchez Shooters Supplies sells the press (item #LEE90999) for $112.99. 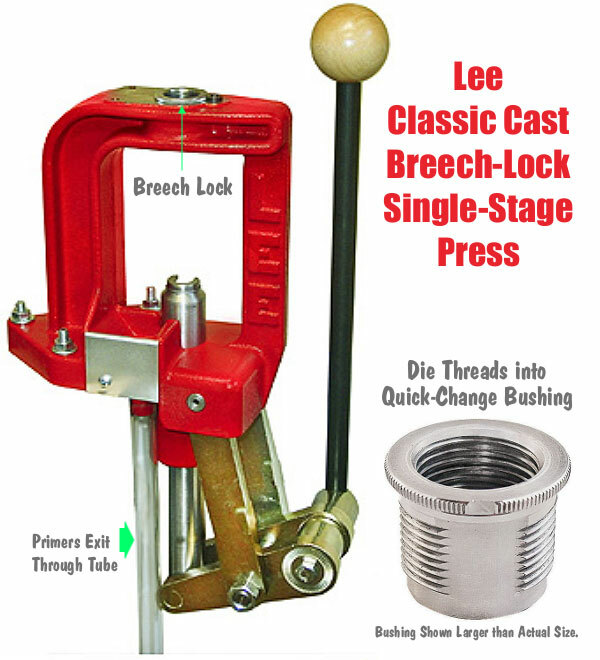 Share the post "Lee Classic Cast Breech Lock Press — Great Value"
The flat-ground distance is the actual distance over which the bullet will be affected by gravity. Use this as the basis for your elevation corrections. As Praslick explains, “this [flat-ground] distance will get less and less as the angle to the target increases [either up or down].” Once you know the straight-line distance to the target AND the exact angle of your shot, simple math lets you calculate the flat-ground distance to the target. 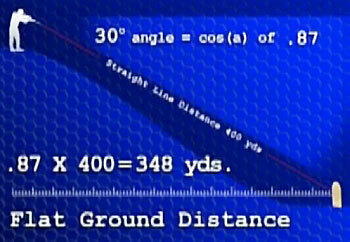 Basically, to determine your flat-ground distance to target, you multiply the cosine of the shot angle by the measured straight-line distance to the target. Since the effects of angles increase with distance, Praslick explains that: “Unless the angle is extremely severe, [a hunter] really won’t notice these effects at ranges of 200 yards or less.” However, for long shots, hunters definitely need to compensate when taking angled shots. 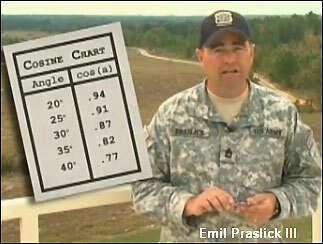 Praslick recommends that hunters print out a small chart with the cosines of common angles (20°, 25°, 30° etc.). In addition, hunters need an accurate ballistic table for their rifle and particular ammo. This should show the elevation corrections (in MOA or clicks), for 200 yards to the maximum range at which you may take a shot. SFC Emil Praslick III is an instructor/coach with the USAMU. He also has served as a coach and “wind guru” with numerous U.S. Teams in international competition, including the U.S. Palma Team, which recently participated in the World Long-Range Fullbore Rifle Championship in Australia. Praslick has also coached the U.S. F-Open Class Team. Share the post "How to Make Angled Shots — USAMU Pro Tips with Praslick"